All the tech jargon regarding the new Intel series of processors might confuse most potential laptop and ultrabook consumers. We try to simplify what it all means. Intel’s Haswell chips will now start arriving with the newer and updated laptops, and there should be a completely new range of updated machines from all popular brands by the time the festive season comes around. But, should you really care? Definitely yes, if you are looking to invest in a notebook sometime soon. With the help of this feature story, we try to give you an easy-to-understand summary of what Intel Haswell is all about, how it improves over Ivy Bridge, and everything you need to know, beyond the jargon and the complications. Haswell is the series name for the fourth generation of the Core series of processors. This series follows up almost a year after Ivy Bridge (3rd Generation) was launched in mid-2012. These processors will be available for a variety of portable devices – laptops, ultrabooks and hybrids, as well as desktops. 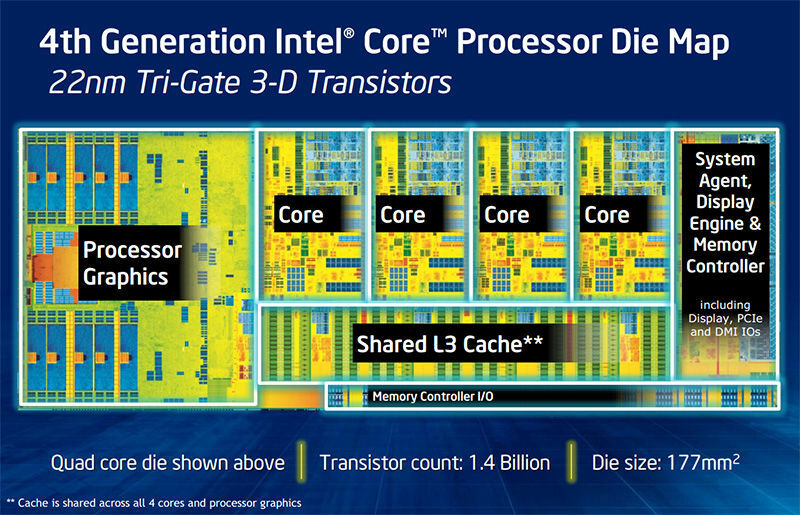 An updated series of the desktop processors will be released in 2014. No laptop or its box will come stamped with “Haswell” on it. The confusion doubles up when you realize that the same series of Core i3, Core i5 and Core i7 have been retained, as with Sandy Bridge and Ivy Bridge. The trick to know if a particular machine has Haswell is to look at the processor series. 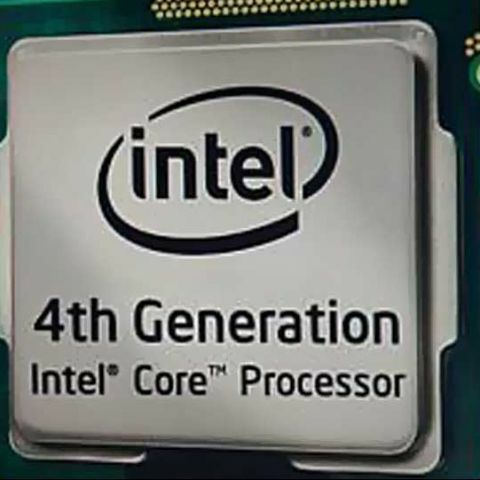 The fourth generation processors have model numbers that start with the series “4”. For example: Intel Core i7-4770R. The Ivy Bridge series had processor model numbers starting with “3”. For example: Intel Core i5-3317U. Intel stays true to the tick and tock pattern with the Haswell update as well. What may tick and tock be, you ask? It is rather simple – one update is tick, and one update is tock, alternatively. Tick means a new manufacturing process, while tock means a new architecture. For example, the Ivy Bridge update was a tick, since it was a new manufacturing process, moving down from the 32mn to the 22nm process node. However, the Haswell update is the tock update, because it carries on with the 22nm process node but with a completely new micro-architecture. With Haswell, the power consumption is even lesser. While this has been steadily happening with every generation, Intel says that Haswell represents possibly the biggest improvement in power efficiency when jumping from one generation to the other. Yes, this is more than the gain that was achieved when moving from the Pentium 4 processors to the first generation Core Duo processors. Till Sandy Bridge, the aim for power consumption would range between 40W and 45W. With Ivy Bridge, that came down to the 25W to 35W for mainstream processors. Now, with Haswell, the processors for notebooks usually hang around the 15W mark, for both the Core i3 and the Core i5 series, and 47W for the Core i7 chips. This change has happened over a period of time. Intel, slowly and steadily, had been moving all possible components onto one chip. First, the graphics and the memory controller went on the die with Sandy Bridge, but now, the voltage regulator has been shifted as well. 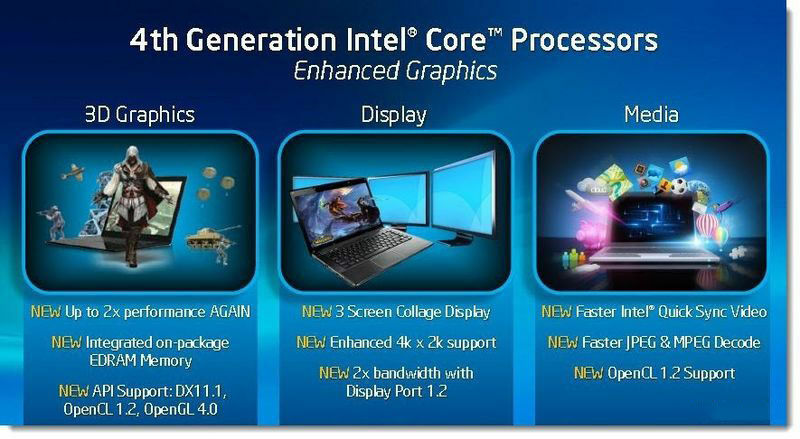 The Haswell processors get upgraded Intel HD graphics, as well as the new Iris / Iris Pro graphics. These are a considerable upgrade over the Intel HD 4000 graphics that the Ivy Bridge machines pack in. Also, important to note that Intel has decided it needs multiple offerings with regards to graphics, rather than just the one size fits all routine. While there is a definite performance improvement in the HD graphics, it will still be incremental over HD 4000, and are still not a replacement for dedicated graphics, if your line of work (or play) demands that. Having said that, it is important to clarify that the performance difference will be more visible as you move up the chain, starting from Intel HD Graphics 4200 and ending up at Intel HD Graphics 5000. However, things are slightly different with the Iris graphics. Intel claims that the Iris 5100 and the Iris Pro 5200 graphics have performance comparable to the Nvidia GeForce GT650M (2GB) graphics. These machines can handle gaming with ease, don’t need a dedicated graphics chip, and should appeal to designers and photographers. Compared to the existing Intel HD 4000, the performance will be close to double, which honestly, is a huge positive jump. Expected to be the chips in the very high-end Windows machines, and the next generation of MacBook Pro with Retina. While dedicated graphics have dedicated memory, Iris series has only 128MB dedicated memory, but will have access to the system RAM to use as video memory. Which Processor: What goes into which machine? The entire Haswell range has been put in different categories. The idea being to clearly demarcate which category of devices will use which particular processor, or be able to select from a series of processors. Important to note that the ultrabooks will see the U series of processors, owing to the strict requirements that Intel has set out for the next generation of ultrabooks. Haswell’s H series features quad-core processors and Intel Iris Pro graphics. Then there is the new Y category, specifically made for hybrid devices, with power consumption going well below 10W. Light user: We assume this use case scenario means the person will use the machine for web browsing, emails, social networking and little bit of document editing and watching the occasional HD movie. 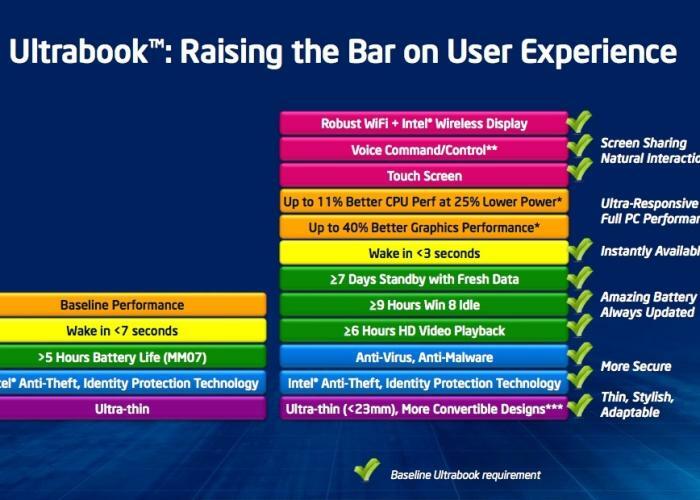 An ultrabook with an Intel Core i3-4100U clocking at 1.8GHz and Intel HD 4400 graphics would do brilliantly. With the low 15W TDP, you could theoretically get around 8 hours of battery life for most “a day at work” usage scenarios. Intel HD 4400 will ensure smooth HD movie viewing, and games that were previously unplayable on the HD 4000 graphics would work now. 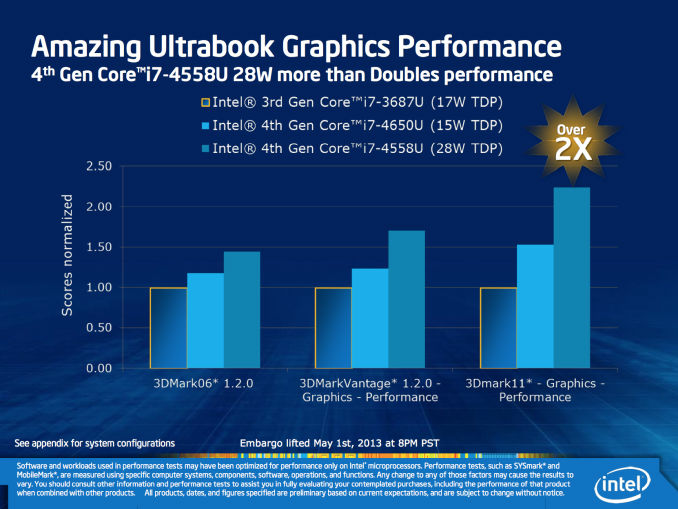 If you happen to find an ultrabook in your budget with the Core i5-4158U and the Intel Iris Graphics 5100, even better! Alternatively, you could consider a full-fledged laptop, and at the lower-end of the price band, you will get something with a Core i3 processor. From what the line-up shows, Intel is targeting the Core i3-4000M and the Core i3-4100M at this demographic. Medium user: We believe this user will use this machine daily at work, for a lot of web browsing, mails, document editing and music in the background. An occasional session of some game, Unreal Tournament, may happen to get rid of the pent up stress. A laptop with a dual-core Core i5-4200M, Core i5-4300M or the Core i5-4330M will do. The only difference between the three is the incremental increase in clock speeds along the way, while the power consumption and the graphics remain the same. It will do very well with multi-tasking up to a certain degree, but will offer much better battery life than the current generation Core i5 powered machines. And that would be the best possible improvement, blending good performance with improved battery life, for the everyday use mid-range laptops. If you are interested in an ultrabook, the Intel Core i5-4350U would most probably the default go-to processor this time around; something like what the Core i5-3317U was till now for ultrabooks. While the clock speed on paper is less – 1.8GHz compared to 1.4GHz for the new one, you will be treated to much better battery life, and much improved graphics – Intel HD 5000. Ultrabooks have never really seen a trend set with regards to dedicated graphics cards being packed in, but the newer version may not really feel a gaping hole if one isn’t packed in. Heavy user: This is the machine for the enthusiast who wants the most powerful specifications. The choice for you is much wider, yet simpler. Depending on the budget, you can either select a quad-core Core i5 processor with the Iris Pro graphics, or the dual-core Core i7 versions with the Intel HD graphics. But do note that the quad-core Core i5 chips aren’t as power efficient as the dual-core i7, and in some cases, even the quad-core i7 chips. When can I buy Haswell powered laptops & ultrabooks? If you are looking to buy a machine that is relatively future proof, then it is ideal to wait for Haswell machines. At the moment, in India, you do not have too many Haswell machines to choose from. The likes of HP, Dell, Lenovo etc. have been fairly slow in getting the machines into the stores. 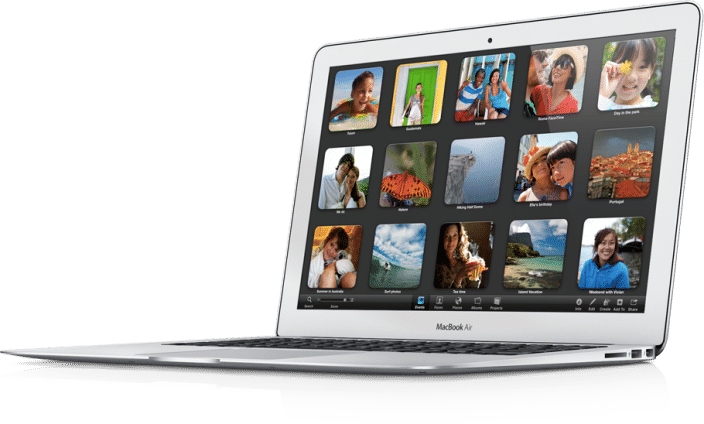 Apple recently updated the MacBook Air 11 and 13 with Haswell processors, and they are now slowly trickling into stores. In a nutshell, you will have to wait till the Diwali shopping season to actually get a proper idea of the choice available to you, and at what price points. Unless you are in a hurry, we would suggest waiting a while longer, and making a more informed decision from a wider selection of devices. What are the specifications we need to see when buying a Camera? I need a laptop ! !